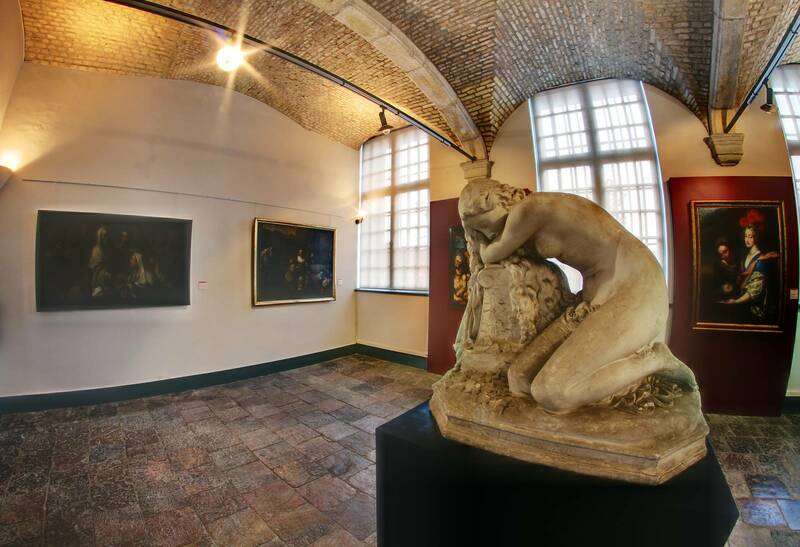 Nestled in the former Mont de Piété, witness of the Flemish architectural art, the museum is a beautiful brick and stone building, built between 1630 and 1633, according to the plans of the engineer and architect Wenceslas COBERGHER. The Mont-de-Piété of Bergues is classified as a historical monument since 1907. Labelled Museum of France, it has a large collection of paintings and drawings from the 16th to the 20th century, mainly from the Northern Schools as well as a collection of natural history. The collection is thematically displayed and includes over 220 paintings. On the ground floor, a gallery is devoted to portraits. There we found "The Hurdy-Gurdy Player with a Dog" of Georges de la Tour hanging alongside the works of Peter SOUTMAN, Jan VAN DEN HOECK or Jan De REYN. Another hall is devoted to religious art. Upstairs, a first gallery is dedicated to the presentation of twelve paintings on copper ; in another, the female figure in art is honoured through the works of Jan MASSYS. A gallery is also dedicated to the Abbey of St Winoc and two others to still-life paintings. The 2nd floor is reserved for the ornithological part. The museum also has a very rich collection of drawings, it currently comprises a little over 2,000 sheets. Temporary collections are also regularly shown in the museum.